When money is tight, libraries frequently look to volunteers to help get work done. Even if money isn’t tight, free labor is hard to ignore. However, is it really free? In this article we discuss the challenges that come with using library volunteers. Typically when libraries start volunteer programs, they are looking to capitalize on the work that these people can provide to the library which then allows paid staff to work on other projects. However, some libraries with unions do not allow volunteers or have very specific jobs that can be assigned to them. Depending on the size of the library, there can be a paid staff person whose whole job or even part is to manage volunteers. How much staff time is being spent on training volunteers, managing their schedules, and depending on how integral to library workflow, finding substitutes when they can’t be there? Volunteers may not have the same level of commitment that paid staff members do, so the volunteer coordinator can often be found doing the “volunteer jobs” that must be done to keep the library working, even when there isn’t a volunteer to do them. 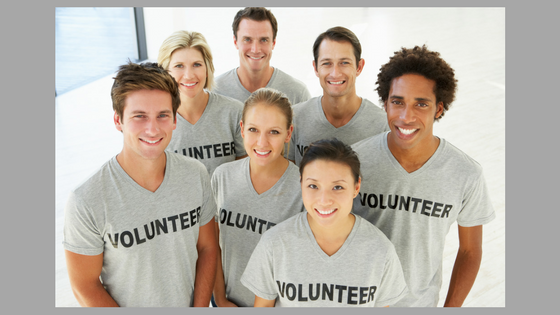 Volunteer management can take a huge portion of the coordinator’s time, but it is important as well. While it’s easy to see management as getting a list of projects together and telling a volunteer “go and do this,” often it isn’t that simple. It may mean getting projects ready so the directions are clear or are prepared in a way to accommodate a volunteer’s possible physical or mental challenges. That takes time. However, sometimes the amount of time it takes to prepare for a particular volunteer can make them not a good fit for the library. Just because a person volunteers to help doesn’t mean they have to be used. At the same time, what if a library becomes too dependent on volunteers? Is there a succession plan for either getting new volunteers or replacing those who stop volunteering? It is the coordinator’s job to set behavior expectation for the volunteers. Sometimes volunteers will want to do just what they want to do and not the tasks assigned. Gently guiding and refocusing behaviors can be tricky. Are volunteers able to use all of the staff areas or are some areas really just for paid staff? Can volunteers stop and chat with staff members while they are working, and when does this become a problem for staff not getting their work completed? Sometimes volunteers, when they are working with or near paid staff can be privy to information that should be kept within the library. Are volunteers being taught about discretion and professionalism in the library? What happens when a patron complains about a volunteer’s behavior? Having behavior expectations, protocols, and disciplinary procedures in place before there is a question can be quite helpful in the long run. Volunteer morale is a huge component of a volunteer coordinator’s job as well, and that can often spill into keeping an eye on the morale of the staff that volunteers interact with. Making volunteers feel like a valuable part of the library team is critical. Just as managers of paid library staff check in often with their employees about library and sometimes non-library related items, volunteers need to be treated the same way. Making volunteers feel valued as both humans and helpers takes time. However, when volunteers disagree with something relating to how the library is being run or organized, how is this handled? Tactfully managing these issues with the volunteers so they feel valued but not at the expense of the paid staff who could feel demoralized is a challenge. When a library finds a volunteer coordinator who can manage these challenges, it is a real gift for the library and its volunteers. This is not to say that there shouldn’t be volunteers in libraries. This is a way to look critically at the challenges of library volunteers and prepare for them long before they ever happen. In the next article we will look at the many benefits of library volunteers.